Heat a wok or large skillet over medium-high heat and add oil. Add garlic and chilies and stir-fry for 30 seconds. Add chicken and stir-fry for 2 minutes. Increase heat to high. 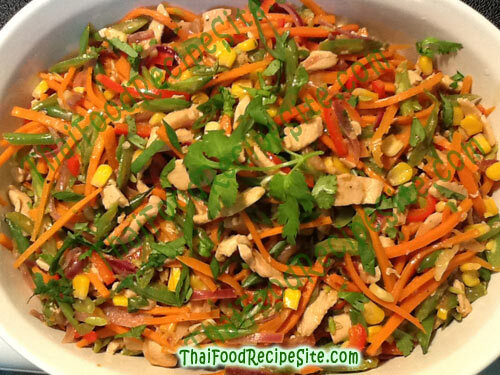 Add carrot, beans, red pepper and corn and stir-fry for 4 minutes, or until vegetables are just tender and chicken is cooked. Add coconut milk, oyster sauce, lime juice and fish sauce. Toss to combine until heated through.